Letter from tour company confirming itinerary and including a copy of the confirmation, showing the reference number for the visa, from Intourist or other authorized travel company, and approved by the Tajikistan Foreign Ministry. Confirmation of hotel arrangements, showing reference number for the visa, from Intourist or other authorized travel company, or directly from the hotel in Tajikistan and, approved by the Tajikistan Foreign Ministry. For a Multiple Entry Visa: Allow up to 4-6 weeks for Foreign Ministry to approve invitation for 6 months or one year multiple entries visa. 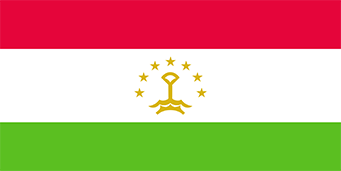 Visas for Tajikistan are processed through the Russian Embassy and Russian Consulates around the US The same form is used for both Russian and Tajikistan visa applications. Where ever the form asks for information pertaining to Russia, please answer with reference to Tajikistan. If you are transiting Russia on a trip to Tajikistan, please read this carefully. If you are transiting through Moscow, Russia to Tajikistan, you will require a Russian Transit visa for each visit. You may apply for a double entry Tajik visa (additional $50.00), which be valid for one transit through Moscow and the entry into Tajikistan (the visa MUST be valid when entering Russia). To return through Moscow a separate Russian Transit visa must be obtained, in Dushanbe (or nearby Russian Embassy e.g. Almarty). The above visa requirements apply only to the Russian Embassy in Washington, DC. Other Russian Consulates may require the actual passport to be forwarded.